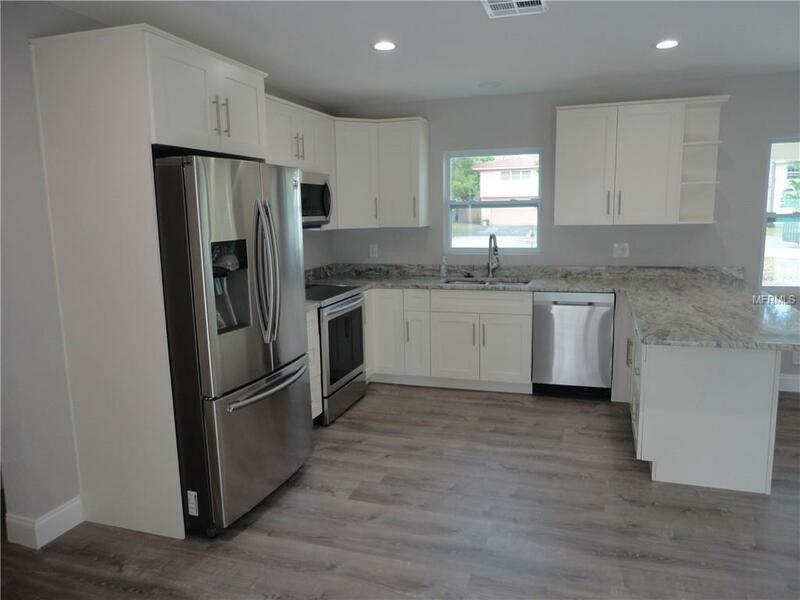 Price Reduced $20K on this BEAUTIFUL, COMPLETELY REMODELED 4 BEDROOM, 2 BATH, 2 CAR GARAGE HOME IN HIGHLY DESIRABLE BAY PINES ESTATES. 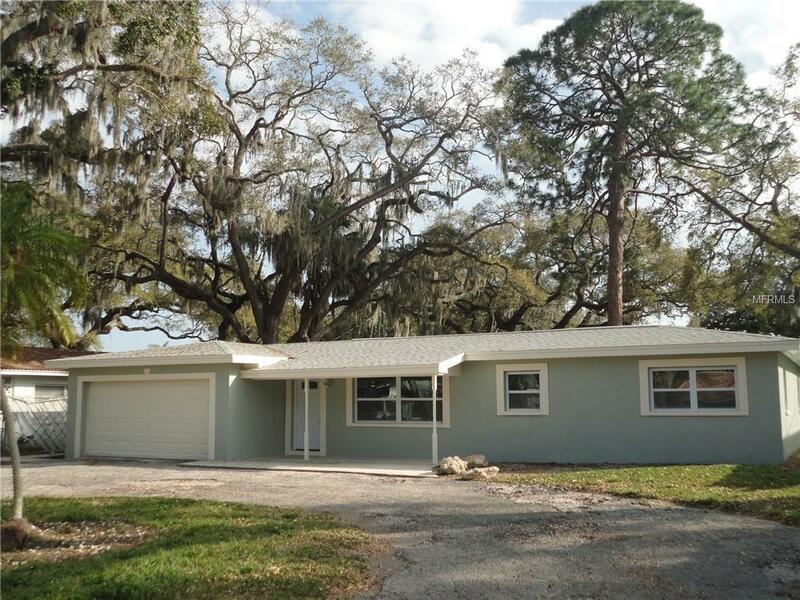 This pristine home has been renovated right down to the studs and has everything! New roof, new ducting, new stainless steel appliances, all new bathrooms, new flooring, carpets and cabinetry. Split floor plan with 3 bedrooms on one side and Master bedroom on other. UNIQUE DESIGN - "U" shaped home opens onto a private spacious courtyard patio. 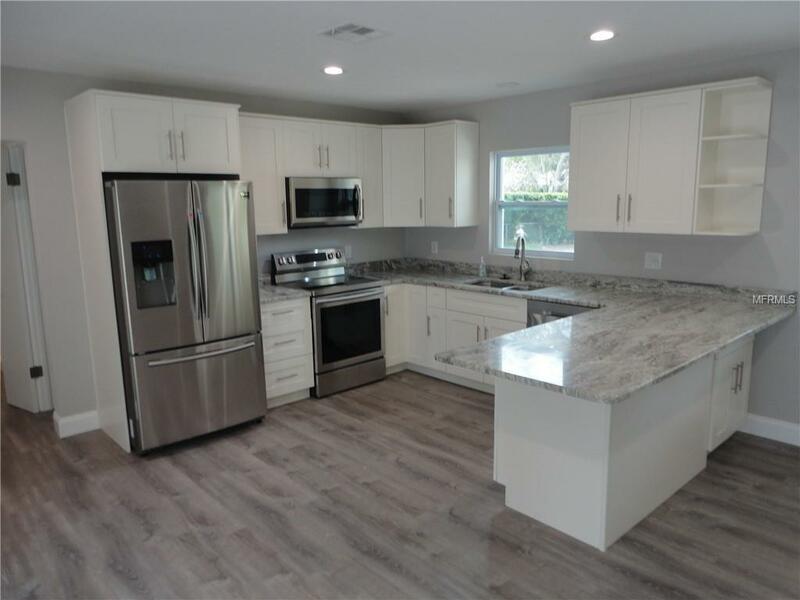 This lovely home is in Bay Pines Estates, a quiet, "no drive-through" traffic neighborhood with a beautiful community lake that features grassy circumference and benches for sitting and enjoying the lovely water fountain in the center of the lake. 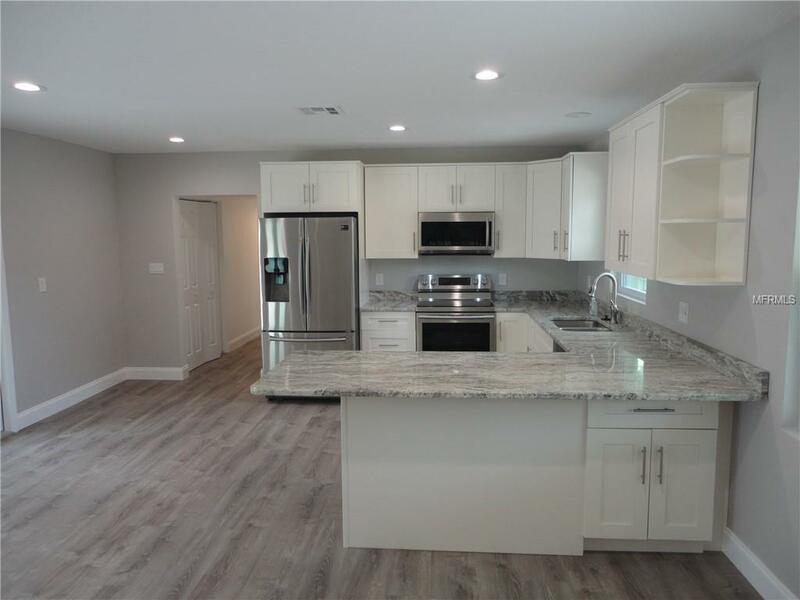 Right across from the VA hospital and next to the Pinellas Trail, and near the new Walmart shopping center with Holiday Inn Express, Starbucks, and many restaurants. Minutes from the Gulf of Mexico beaches, campground, public boat ramp and Tyrone Square or new Seminole City Center Mall. No-Flood Zone. Amenities Additional Fees Optional Community Civic Association Annual Membership Provides Discount On Trash Collection By Waste Connections Of Florida.